The Mantaraya Lodge • Use the form below to contact us directly. Fill in the fields to check availability & reserve direct with The Mantaraya Lodge. 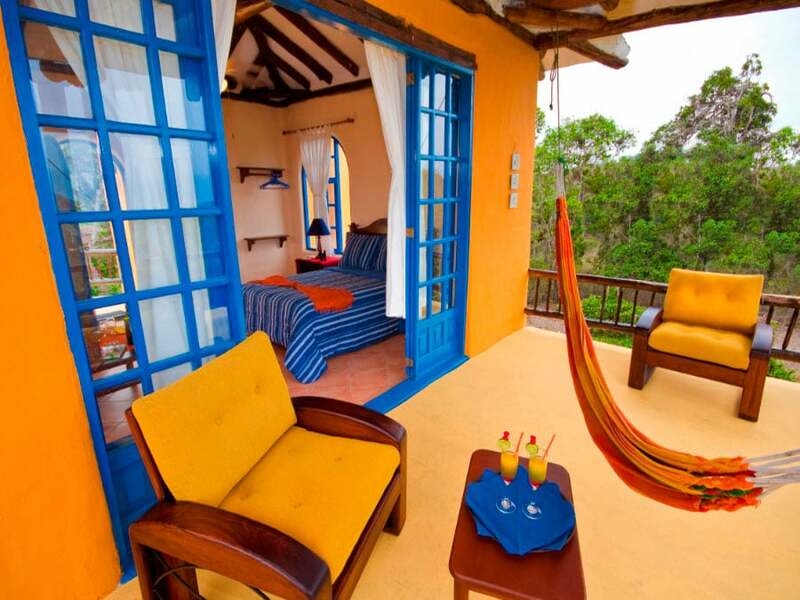 Mantaraya Lodge provides a relaxed and comfortable lodge to explore western Ecuador’s tropical dry forest and coastal waters. 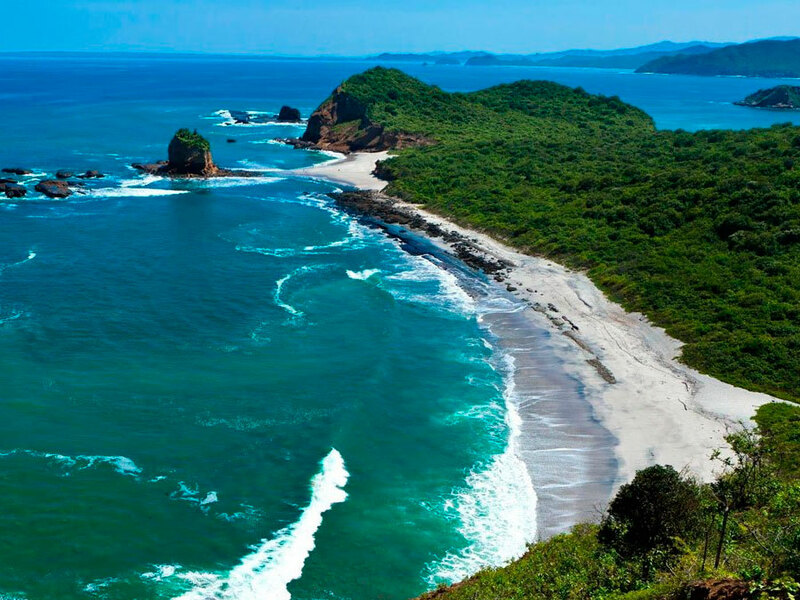 Enjoy the coastal forests, culture, and beaches of Machalilla National Park. 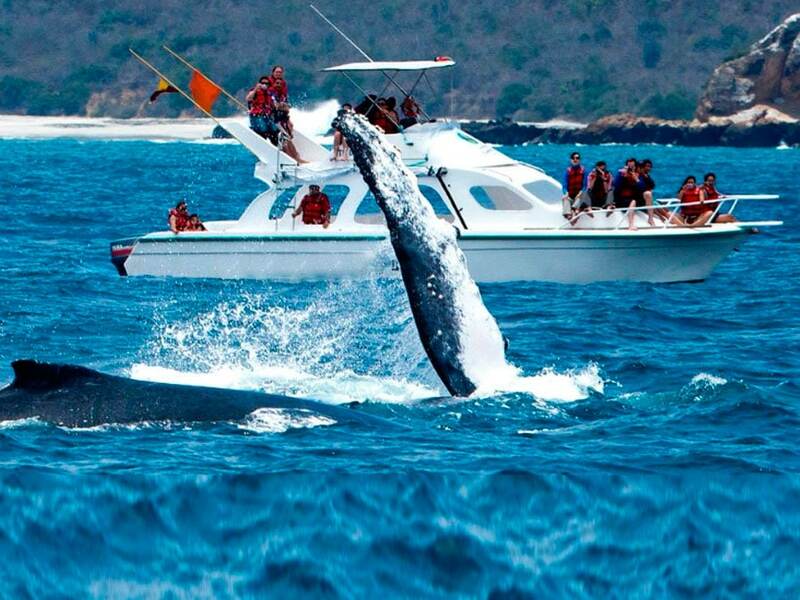 Here you have your choice from a variety of activities, including snorkeling, hiking, kayaking, birdwatching, relaxing, whale watching, and cultural activities. Explore the fantastic forests of Machalilla National Park and the coastline of beaches for excellent walking, snorkeling, diving and horse riding. A great place for nature lovers and birdwatching, the surrounding forest has a very high number of endemic species. The Mantaraya Lodge provides large and comfortable matrimonial, double, triple and family rooms styled to reflect the relaxed area and give a cozy atmosphere. 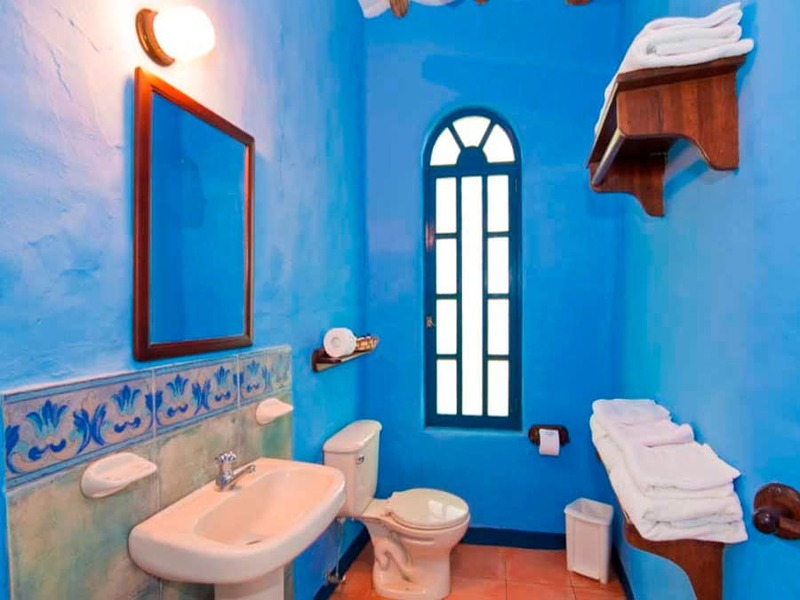 The rooms each come with private bathroom, ceiling fan, balcony or big outside windows. From here you can look out over the region while enjoying the sun and a refreshment. 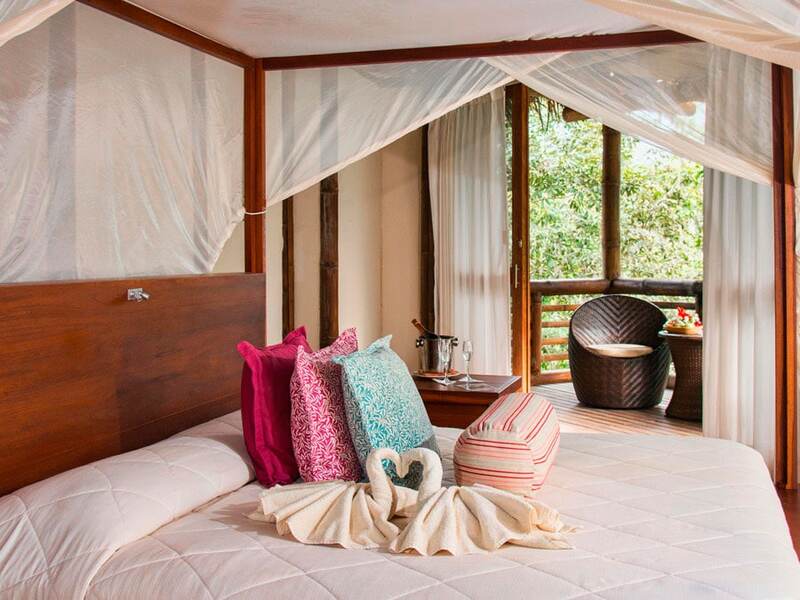 The lodge can comfortably accommodate a total of 50 guests in its 15 rooms. You can choose from single, double, triple, and quadruple accommodation depending on your requirements. Our auditorium is a great place for small business and personal events and offers a capacity of 50 people. A favorite feature of the Mantaraya Lodge is the pool, which is built on different levels and provides a fantastic view of the ocean. Our lodge chef carefully prepares delicious dishes from fresh ingredients of both national and international cuisine. 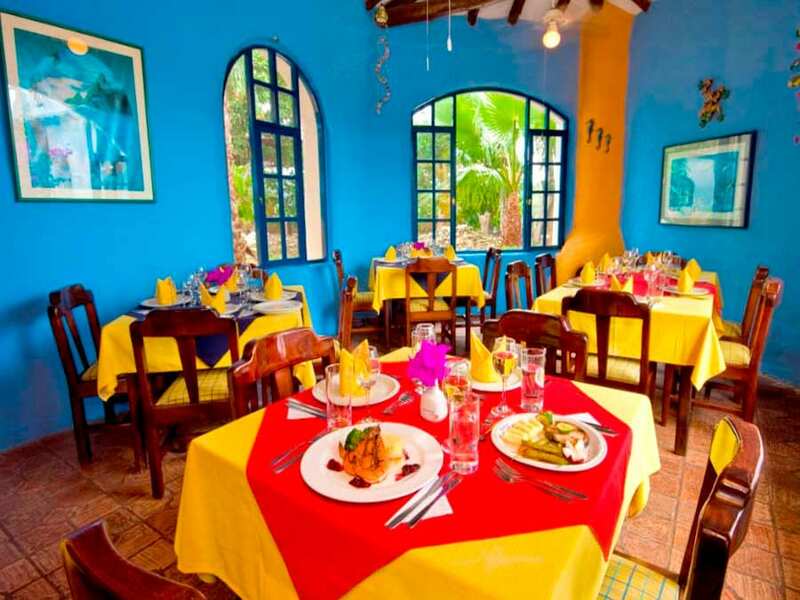 You can then enjoy the meals in our spacious dining room or al fresco in the calm and relaxing surroundings. We offer additional services such as wireless internet, laundry services, and hotel transportation. The journey starts with a 30 minute flight from Quito to Manta or Portoviejo. One of our qualified staff members will transfer you by car to Machalilla National Park (about 3 hour drive). On the road, there will be a stop in order to visit the home of the legendary Panama hat, Montecristi. For approximately one hour, you will have the opportunity to enjoy the air and history of this notable coastal town with residents engaged in the weaving of these extraordinary straw hats. We continue out trip to Machalilla National Park through roads that will that offer splendid views of coastal Manabí. At your arrival to Mantaraya Lodge, a superb lunch will be ready for you. In the afternoon, our proficient naturalist leader will present to you a range of activities from which you can choose. You can either go to the beach, venture into a fishing village, or hike through an exceptional moist forest to experience your first encounter with the local flora and fauna. After dinner, there will be an introductory talk about Machalilla National Park and the activities for the next day. A great place for a snorkelling adventure, Machalilla National Park offers some beautiful and wildlife rich areas. 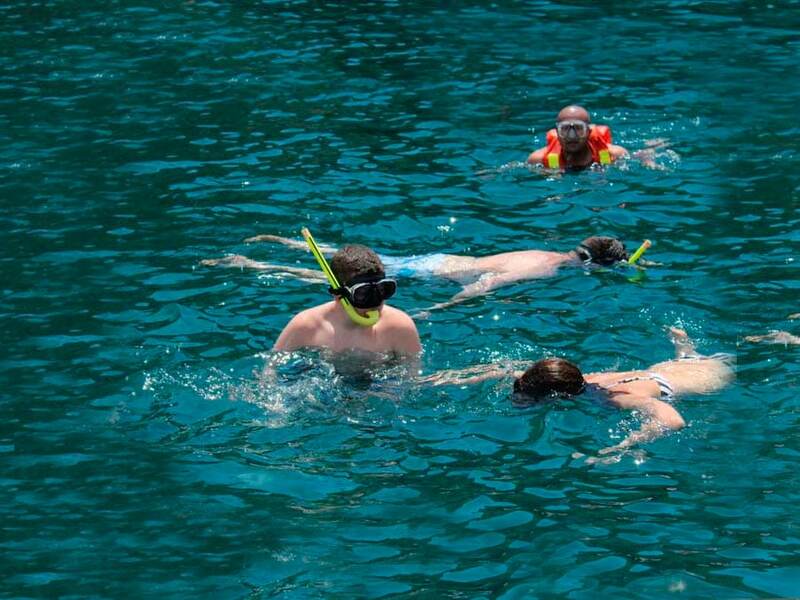 Snorkel around Isla de la Plata to Salango Island, Los Frailes and Tortuguita Beach. Our snorkeling gear is complete and in good conditions, and our crew members are responsible and well trained. The Mantaraya II, our 16 passenger fast boat, follows all national and international navigating regulations. Humpback whales (Megaptera novaeangliae), the world’s 5th largest whale, make their way along our coast line from June and until September These whales are found worldwide and can travel around 25, 000km per year, which is about halfway around the world. Migrating this distance means the whales can split their lifecycle between both cold and warm waters. We head out to see the whales on tours that last around 3 hours. This species is very rewarding to watch as they are one of the most acrobatic species. They regularly breach the water and we are the only whale watching operator offering expert Naturalist guides to interpret the whales’ behavior. 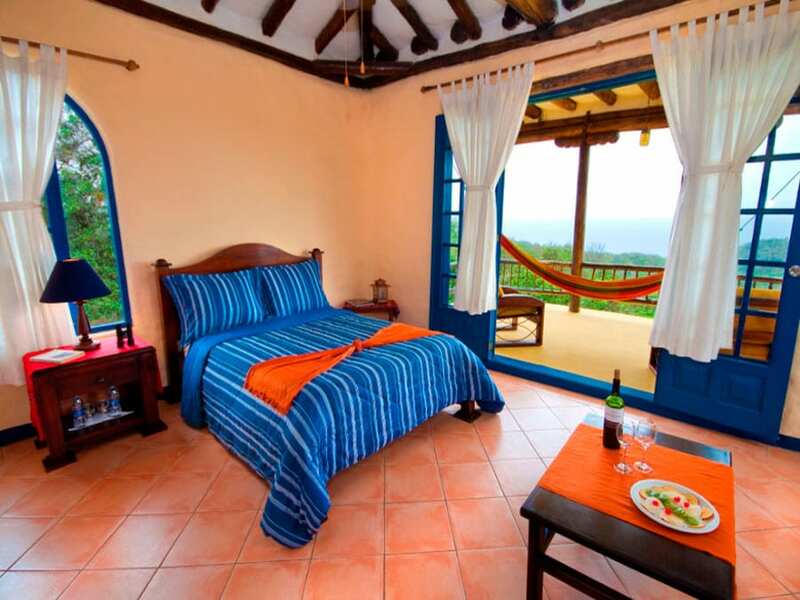 We can visit the Agua Blanca community who live inside the Machalilla National Park. Their community includes around 400 inhabitants who live on small scale agriculture farming bananas, coffee, corn and vegetables. 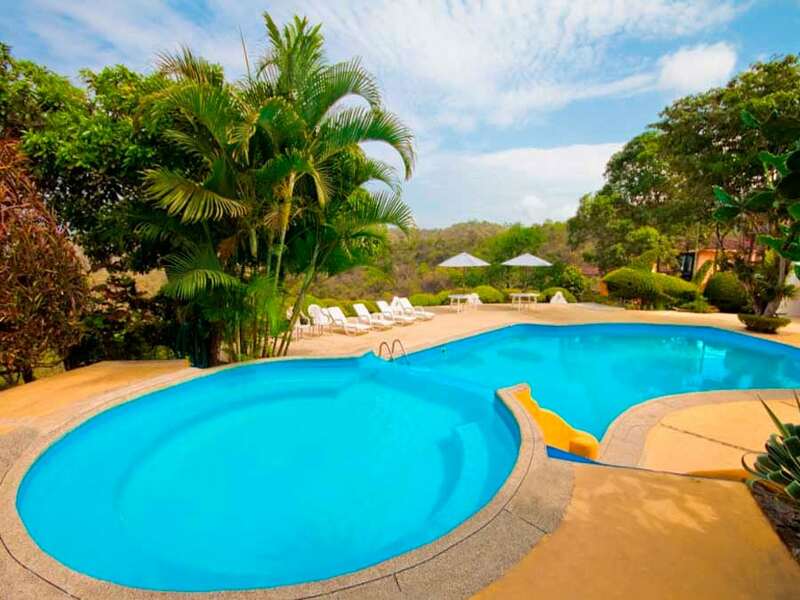 The visit is also a great place to enjoy nature from the surrounding tropical dry forest. A great place for birdwatching in Ecuador, Machalilla National Park covers around 55,000 ha. This is the only protected area of dry and moist forest in western Ecuador that includes a high number and diversity of endemic animals and plants. The protected area also includes extensive wetlands of shallow saltwater marshes. 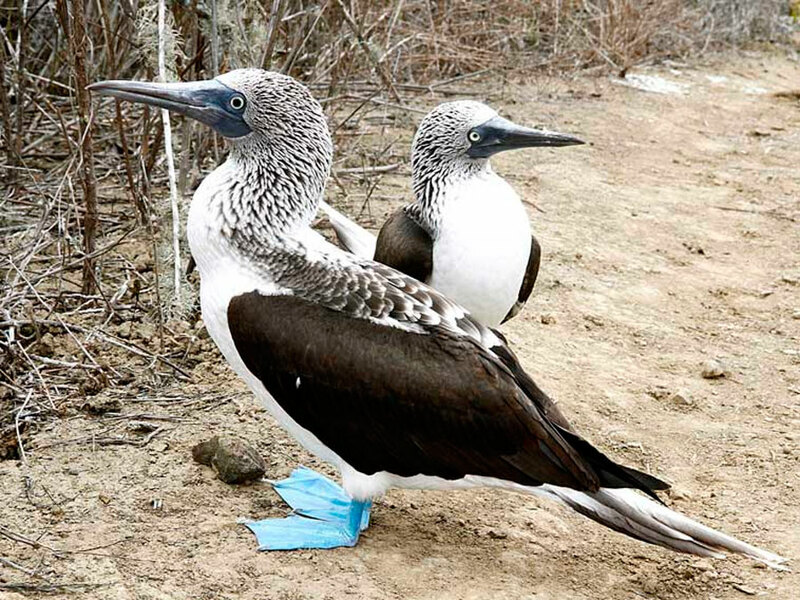 As well as this the Island of Plata is one of the area’s most impressive reserves for seabirds. Enjoy an expertly guided birding tour to an area of over 270 specie, with a quarter of birds only found in western Ecuador. Because of this, BirdLife International has placed the area into one of the world’s 218 avian centers of endemism. If you enjoy kayaking, you have three different options at the lodge for a great experience around the Machalilla National Park. 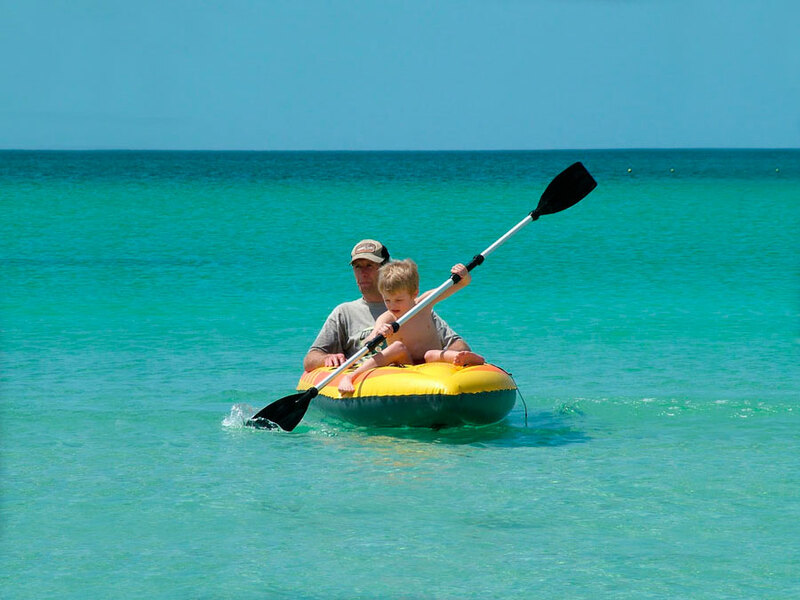 Options 1 and 2 include a delicious box lunch, snorkeling gear, kayaks and paddles, transportation back to the Lodge, and a naturalist guide to find the best kayaking in the area for natural beauty. Enjoy an optional hiking tour with our native and very knowledgable guide to see archaeological sites. 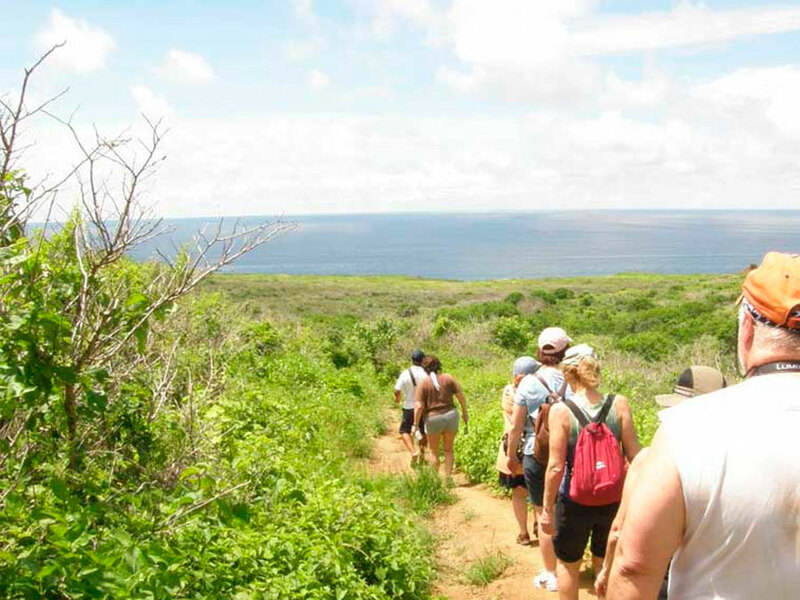 We will walk along a trail where you can find many different animals and plants. After walking through the tropical deciduous forest, you can choose to relax in the spring or enjoy a therapy bath. A customizable tour, the hiking distance and time is up to you. As this is an optional tour, please mention your interest on the enquiry form. Please note that the hike does require a higher than average level of fitness and may not be suitable if you’re very sensitive to heat. We can arrange a bike ride along Buena Vista valley dirt road through the tropical dry forest (about 5 Km) to the archaeological museum. We also offer a harder route for a 40 km trail ending at the Jipijapa-Guayaquil highway. Here our truck will be waiting to take us back to the hotel. This is an optional activity and not covered in the program cost. Please mention interest on the enquiry form if this is something you would enjoy. 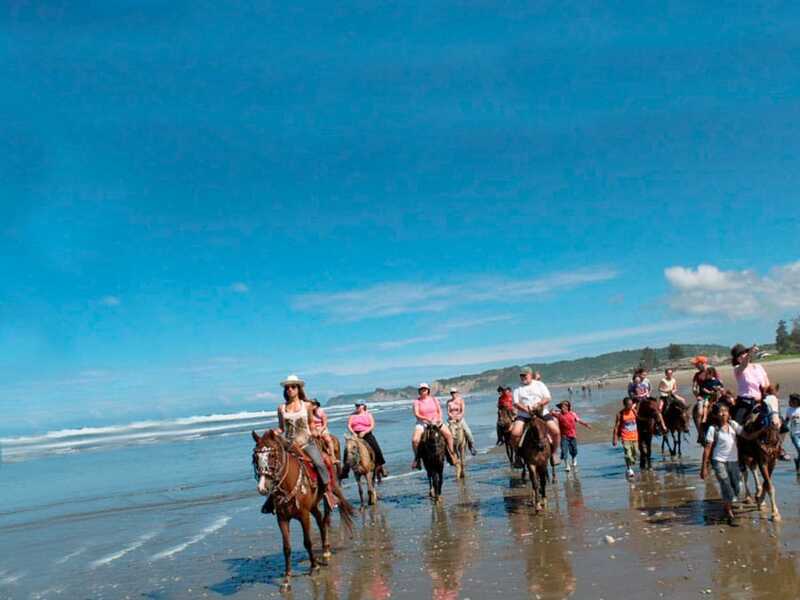 Another optional activity not to be missed is horse riding in the San Sebastian fog forest. Some of the trails go through deciduous forest to end at the fog forest at an elevation of around 800 m. Enjoy tropical birds, plants, insects, reptiles and occasionally mammals at different altitudinal levels. Please mention this on the enquiry form if the activity is of interest. Aboard the Mantayraya II, scuba divers and passengers will enjoy exploring the outer edges of Machalilla National Park waters. We can reach the main attraction of the Isla de la Plata in about an hour, which is in about half the time of other tour boats in the area. Mantaraya is a world-class operation with excellent organization, equipment and facilities. Enjoy a high diversity of colorful and life-filled reefs swimming with warm-water fish, sponges, and corals. Larger wildlife include sea turtles, dolphins, sharks and giants manta rays that occur throughout the year. For a special treat, we especially recommend dives between July and October to tie in with the humpback whale migration. Seeing these mighty creatures up close is a bonus memory hard to forget. 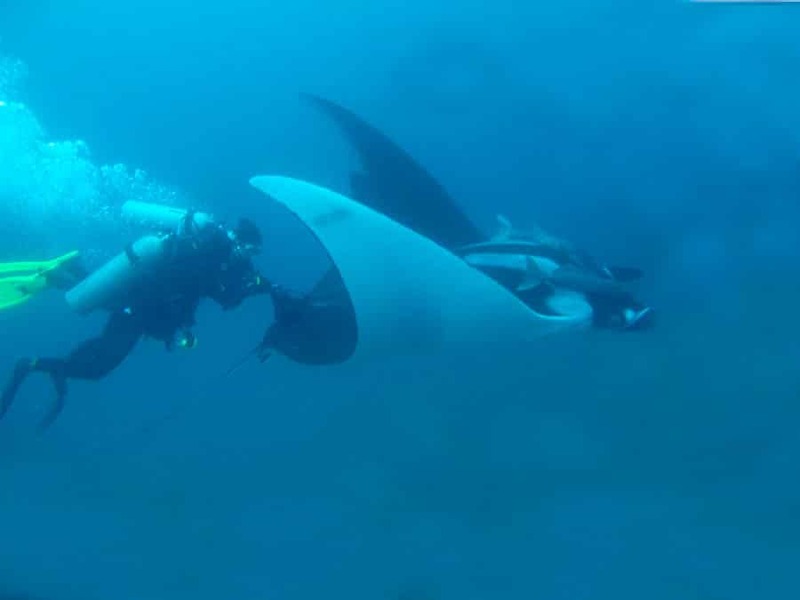 You will need to demonstrate your diving experience by presenting your PADI license. If the cancellation is made 59 or less days prior to departure, 100% of the total price will be charged, even for health issues. 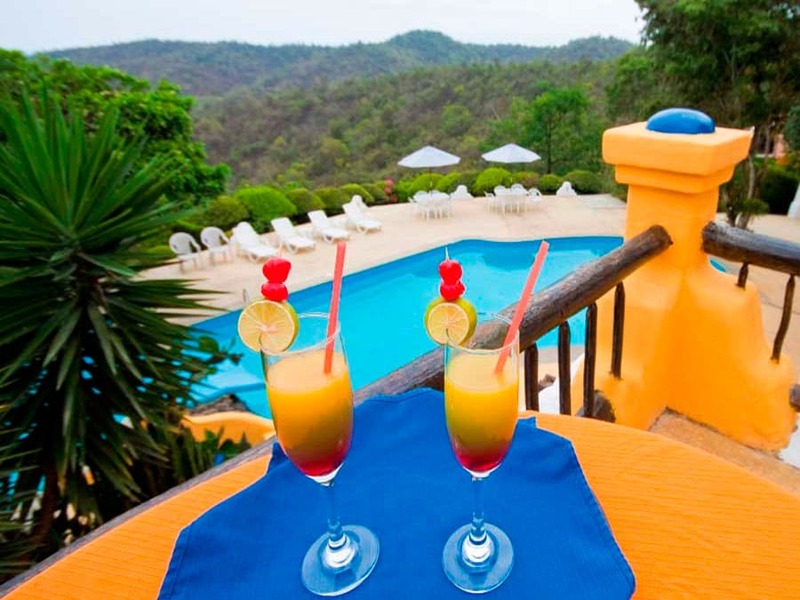 An immediate deposit of USD 100 per person is required to guarantee the reservation. A 50% deposit has to be made 60 days prior to departure. A 100% of the total price has to be paid 30 days prior to departure. No fee will apply if the cancellation is made 90 or more prior to departure. If the cancellation is made 30 or less days prior to departure, 100% of the total price will be charged, even for health issues. 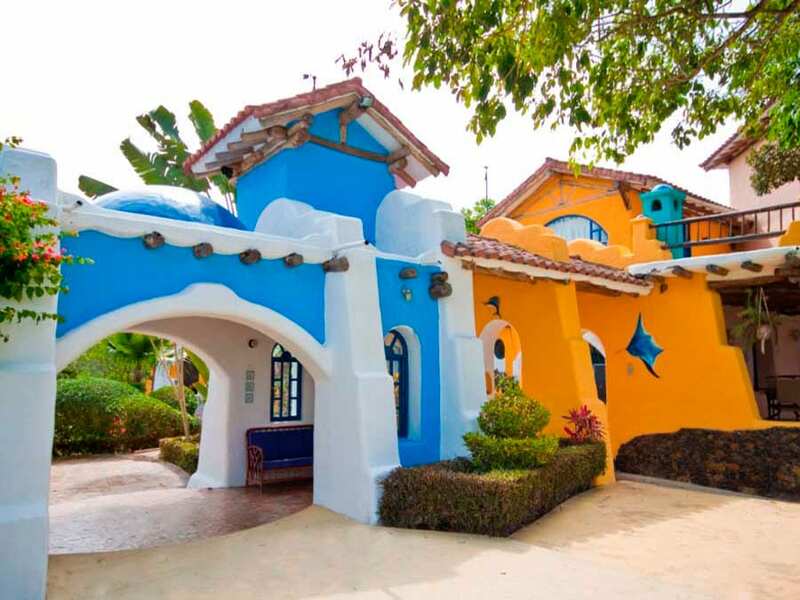 An immediate deposit of USD 150 per person is required to guarantee the reservation. A 50% deposit has to be made 90 days prior to departure. A 100% of the total price has to be paid 60 days prior to departure. No fee will apply if the cancellation is made 120 or more prior to departure.